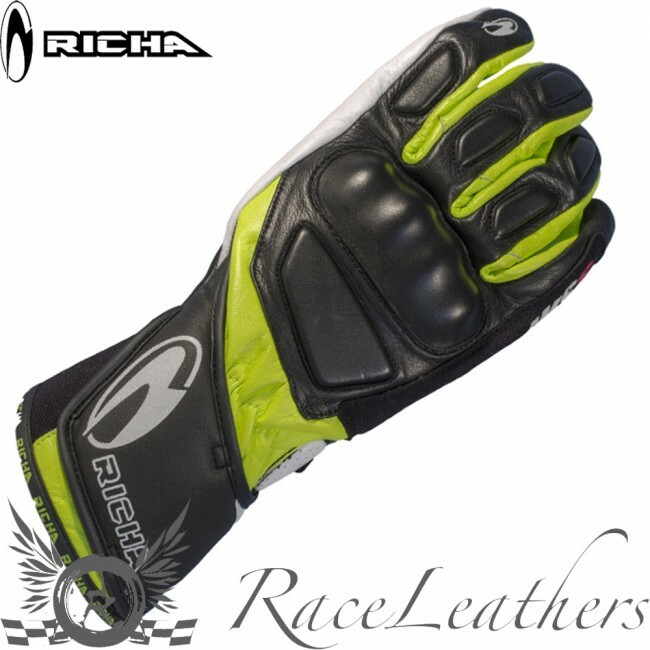 Great value racing/sports style glove. Full leather construction. Plastic knuckle protector with leather overlay.